Ryanair demonstrates what happens when leadership ignores the link between the customer experience and their employee experience. The strikes follow last year’s disruption caused by a pilot roster “boo boo” (as Michael O’Leary called it) that resulted in flight cancellations affecting hundreds of thousands of passengers. 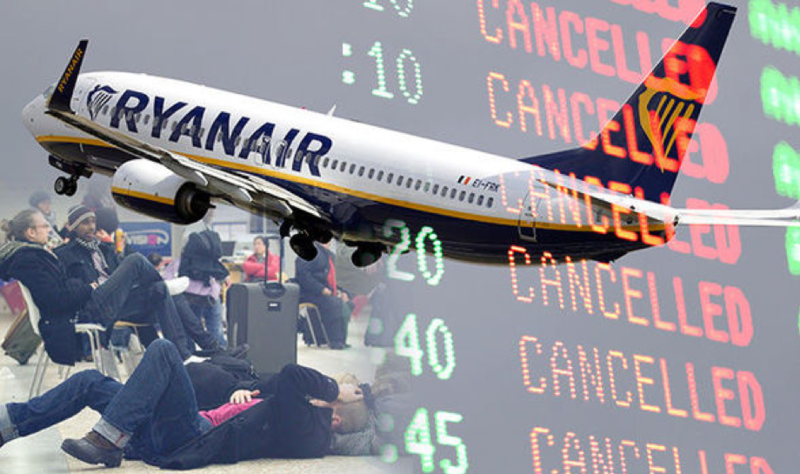 In an article last year Will Ryanair brand suffer long term damage? we asked whether the disruption facing customers would cause any lasting damage to the Ryanair brand. That’s a question that is even more relevant after the events of the last few weeks. What is clear is that Ryanair has seen a 35% fall in its share price over the last year – something shareholders will not be feeling happy about. So, what has gone wrong at Ryanair, Europe’s second largest (by revenue) and most profitable airline? It is a particularly interesting question for those of us working in the world of customer experience. “Customer experience” is what an organisation delivers to customers every day through every interaction, direct and indirect. Management of the customer experience requires executives to make strategic choices about what they want their brand and their company to be known for, which customer segments to focus on and what mix of cost/price, product and service strategies will serve them and their customers most effectively. The goal of any CX strategy is to deliver a differentiated experience for target customers based on superior service, leading edge products or lower prices that drives profitable growth. Southwest Airlines delivers the best customer experience in the U.S. airline industry, according to the 2018 Temkin Experience Ratings, an annual customer experience benchmark of companies based on a survey of 10,000 consumers. Southwest has earned the highest score for an airline every year since the ratings began in 2011. Ryanair is very clear that its brand of customer experience is not founded on service. The company wants to be known as the go to airline for low fares. It targets customers for whom price is the dominant purchase driver. The airline is laser focused in executing a business model that enables it to deliver low fares to high volumes of passengers. It has done this very successfully and, in the process, expanded the low-cost market more profoundly than any other airline in Europe. However, there are two challenges that Ryanair faces. The first is whether low prices on their own are enough. Customers are becoming more demanding, they are less loyal and ethical behaviour is increasingly important. Customer abuse – something Ryanair has been regularly accused of – is never a good strategy even if it is in exchange for a cheap flight. Recent research from the UK’s Institute of Customer Service has shown that only 15% of customers are prepared to compromise service for the cheapest deals whilst 62% are looking for a reasonable balance between price and service. The speed with which customers defect depends on the state of competition – and this is Ryanair’s second challenge. Even though international aviation is highly regulated and there are barriers to entry, competition does exist from other airlines, other modes of transport and other places for consumers to spend their hard-earned cash. Customer choice will continue to increase, and the question is whether a strategy founded entirely on low fares is enough to continue to drive the growth that Ryanair has seen over the last decade. What we are seeing across many business sectors is that competitive prices, quality products and good service are what customers expect. Organisations that do not deliver acceptably on all three are shunned by customers. A strategy based on low prices does not have to mean poor service. The recent industrial action at Ryanair appears to be a symptom of an increasingly disaffected employee experience. As we all know, the employee experience directly affects a brand’s customer experience. Customer experience and employee experience are co-dependent. This is the reason that Southwest Airlines places such a high priority on recruiting, training and retaining customer orientated employees. Southwest also have collective bargaining agreements with U.S. labour unions covering over 85% of their 57,000 employees. So, union representation, by no means precludes a focus on customer experience. Whether Ryanair, will learn anything from the events of the last few weeks only time will tell. But Ryanair customers have a choice and a dependable schedule is a key element of their experience. Working with their employees and representatives will be key to regaining the trust and retaining the loyalty of their customers.